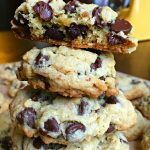 Today’s tried & true recipe – Copycat Berger Cookies!! 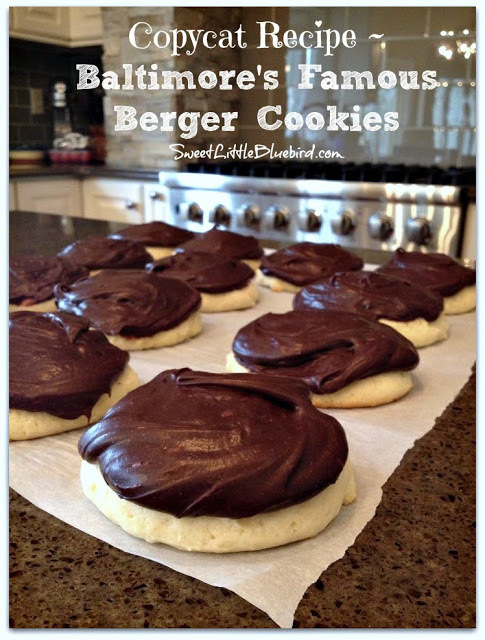 COPYCAT BERGER COOKIE RECIPE – Baltimore’s famous cookie! 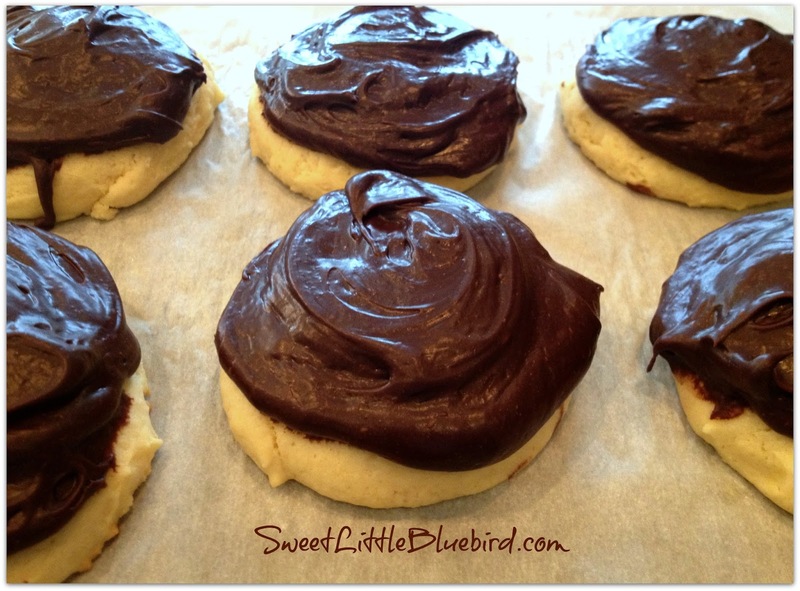 Cakey cookie topped with a thick layer of chocolate-fudgy frosting. The. Best. Cookie. Everrr!! While I’m in Alaska for the arrival of my sister’s sixth baby boy – yes SIX…they now have a sub for a basketball team – we all had the craving for the famous thick and fudgy Baltimore Berger Cookies. Having Berger Cookies shipped to Alaska is insanely $$$ and not an option, so my sister and I searched the web and decided to try King Arthur Flour’s Berger Cookie recipe. Result – it’s a winning recipe, be sure to read the great reviews. 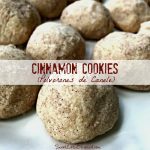 I whipped these cookies up for my sister and the family and they turned out great, we loved them. The cookies are pretty darn close to the original. 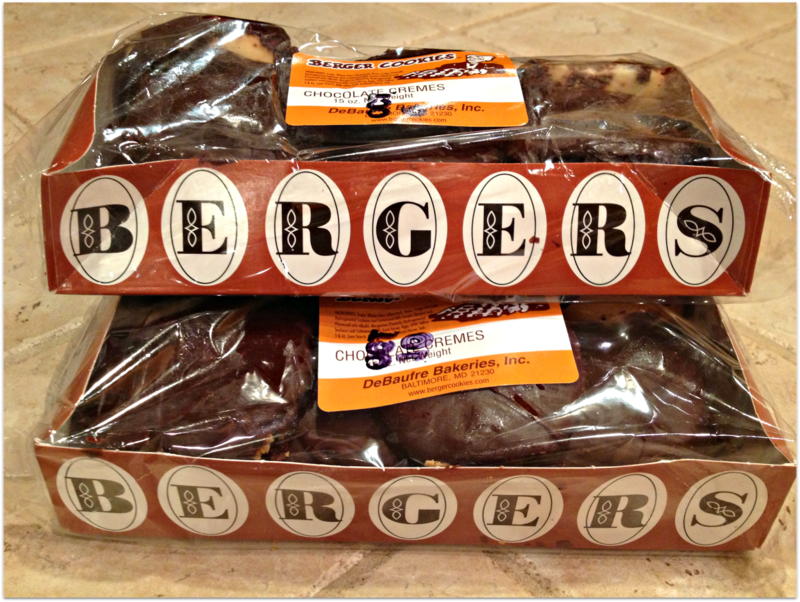 If you’ve never had a Berger cookie, you would never know the difference. The cookie portion is a great copycat. 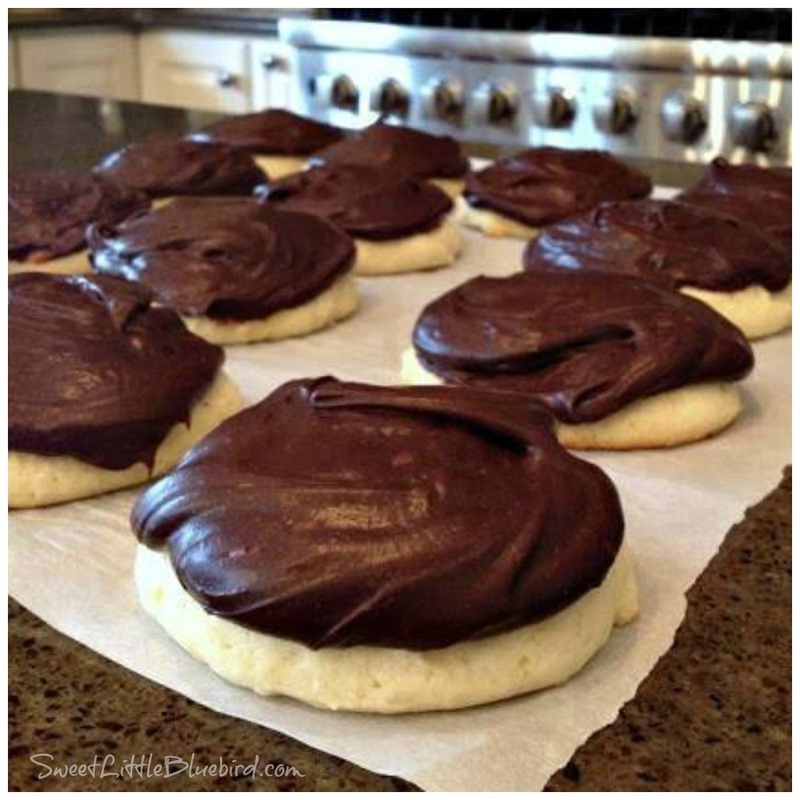 The chocolate icing is a little more rich than the original, but the texture is perfect. 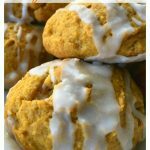 Overall, it’s a great copycat for one of my favorite cookies. I can’t wait to make these back home for family and friends. Please note: This is not a sponsored post. I have no affiliation with Berger Cookies or King Arthur Flour, I am just a fan of this amazing cookie. I lived in Maryland for almost 10 years and miss being able to purchase these cookies at the grocery store. Our family (and friends) love these cookies so much, every time my husband travels and has a stop at BWI airport, he ALWAYS purchases several boxes of cookies to bring home. I also purchase them and have them shipped right to my door. I love that I now have a great copycat recipe for my recipe box! For the directions and to print this awesome recipe, please head over to King Arthur Flour! 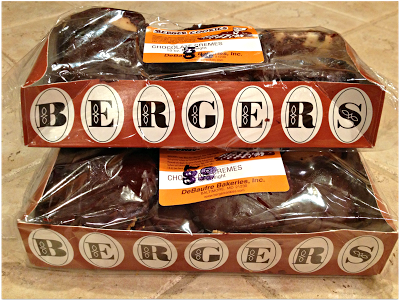 To order the Original Berger Cookies and have them shipped right to your door (I’ve done this so many times), head over to Berger Cookies! Has anyone ever frozen them? I was thinking about doing these for a baking exchange. 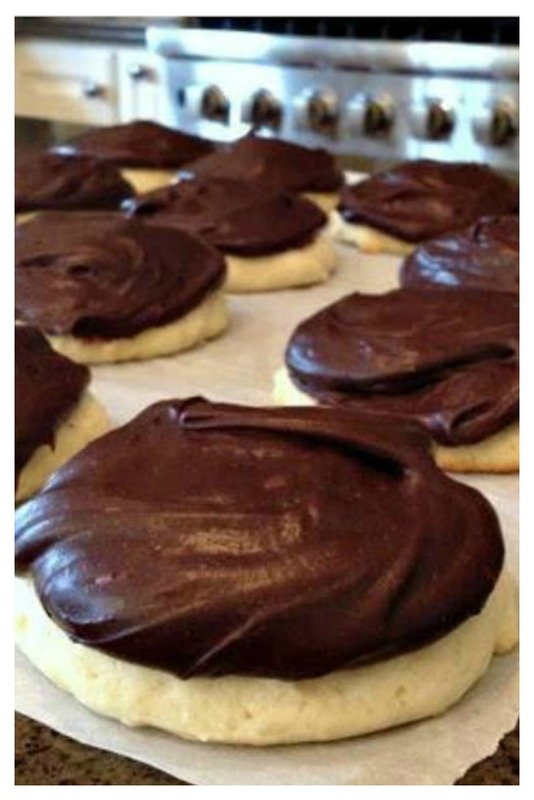 There is a bakery in Troy, NY called the Cookie Factory and they make the same cookies and they are called Fudge Fancies, they also make a miniature version which is bite size. They are selfish. Still not working! Anyone have it written down? Sometimes things don’t come through on certain browsers. Try another. There’s Chrome, Internet Explorer, Mozilla Firefox, etc. I have to keep 2 different browsers going at the same time just to be able to switch back and forth to be able to use different sires. I'm from MD and burgers cookies are simply amazing. I will have to try these! Happy baking HON! I can't wait to try these! I was born in Baltimore and used to buy these at the High's convenience store, my sister and I couldn't get enough! I'm so glad I found this post! Thank you!! Definitely stick with King Arthur flour, all. It is the best! 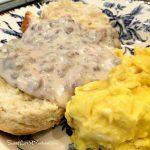 It won the taste test on America's Test Kitchen (Cook's Country). You can taste the difference. MMM I would eat the frosting from the bowl!!! Yum, they look fab Mary! Did you use King Arthurs AP flour??? Or do you think any APF would work? I am going to make the crazy cake, and your cookies this week!